Sometimes you just have to grab opportunities as they are trying to dash past you. Having already applied to be a maker for The Makers Markets (and been accepted) I knew that their pre-xmas Edinburgh shows were sold out (always a good sign). Then a few days ago I was *busy* checking Facebook and saw that a space had suddenly become free... I swooped in like a swooping thing and it was mine, all mine. 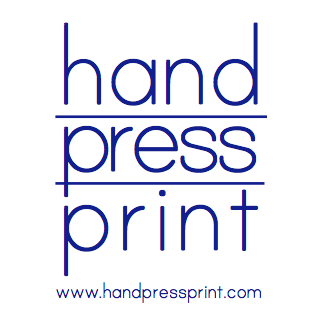 So tomorrow from 11am- 4pm Hand Press Print will be selling to the lovely people of Morningside, Edinburgh, and beyond at: The Morningside Makers Market. I am already grateful for the lovely start time (fairs that open near dawn do not know the buying public, or makers very well). There'll be lots of eager makers and their handmade wares in the Columcille Centre - near Studio One and The Dominion Cinema.... If you're going to see Skyfall come and have a Christmas shop before... we'd love to see you and we won't give away anything about the plot! As well as this I was also confirmed as a seller for the Out of the Blue Drill Hall fair at the beginning of December.... I think there'll be a lot of ink used over the next few weeks. More information about OOTB nearer the time. As it stands there are loads more Arthur's Seat prints in some great colours - on Etsy and Folksy by monday... when I'll be having a day off printing (maybe) and a day catching up with admin and paperwork - if I'm not watching my new MadMen boxed set.